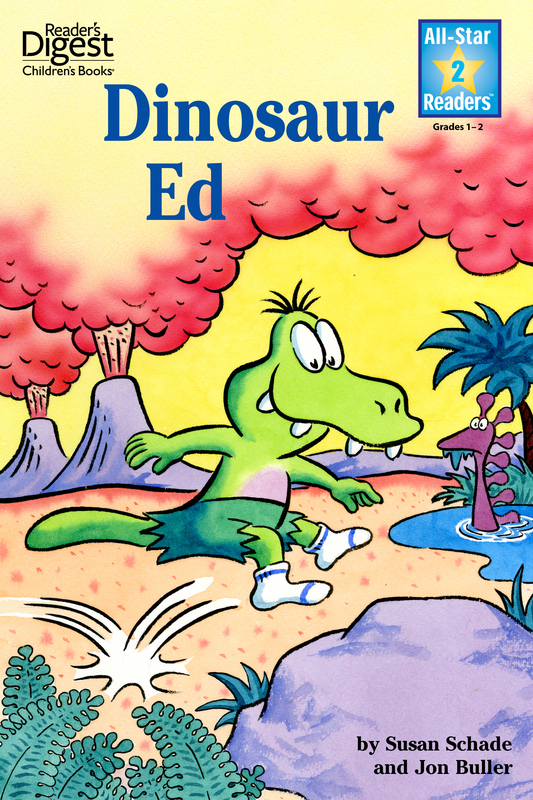 Ed the Dinosaur wakes up and gets his socks on, eats some rocks, and puts on his green shorts. He would like to ride his red sled, but there is no snow. Ed adds wheels to his sled, and now he can ride it when it's hot or cold! Promotes self-sufficiency and creative thinking. Includes a note to parents with tips on how to encourage reading and on how to help your child learn to read. Also included is a list of words to "point and read" to help young readers learn new words. As each word is read by a narrator words are highlighted on the screen. Sounds effects are also included.